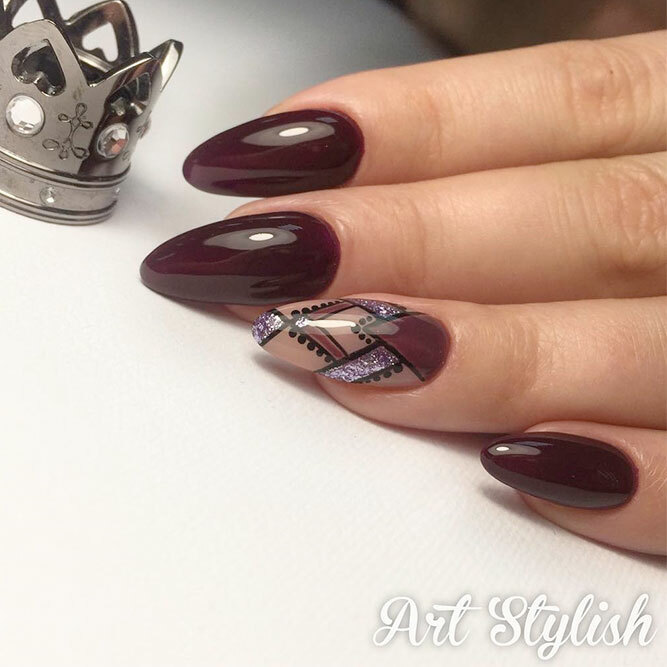 There are many reasons why Burgundy Nails Designs are on the edge of popularity these days. The thing is that burgundy is one of those universal shades you can wear anywhere and anytime. It is less bright than red and spicier than sheer black. Besides, no matter what you wear – burgundy hues will only add that special taste to your outfit. 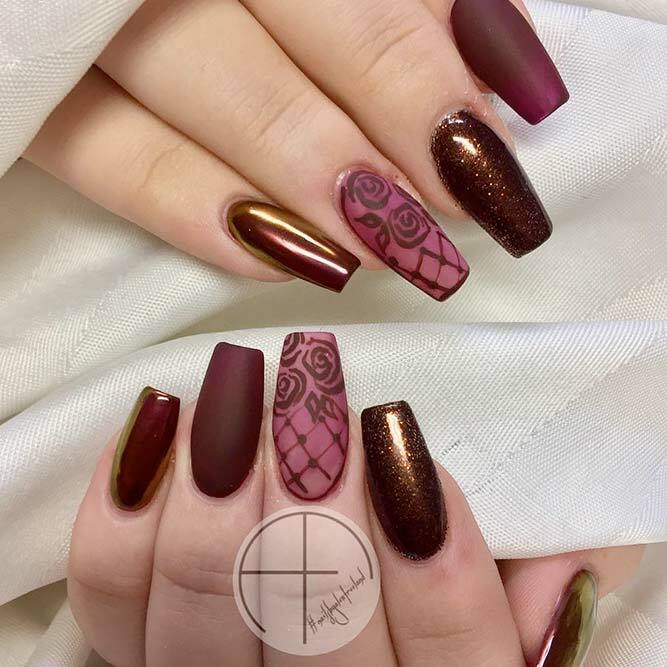 Not to mention the number of designs involving burgundy. 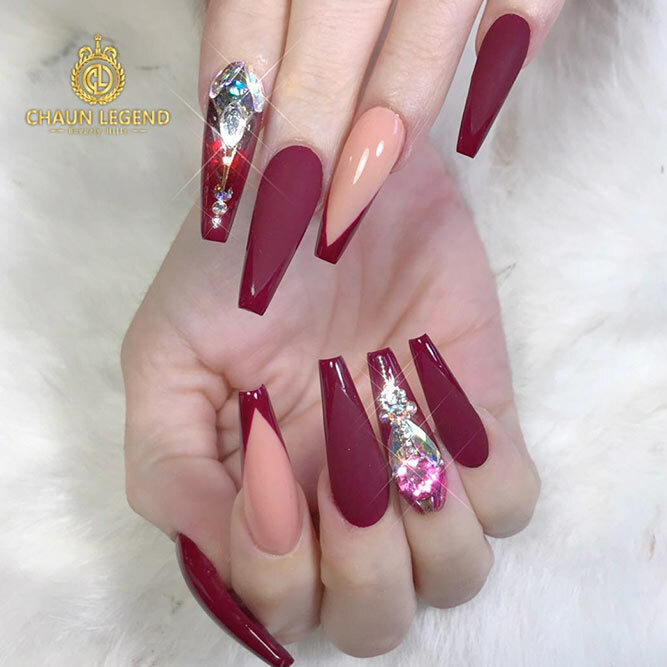 That is why we thought that maybe you have been looking for something both classy and sassy and decided to suggest you a list of spicy ideas to try out right now. 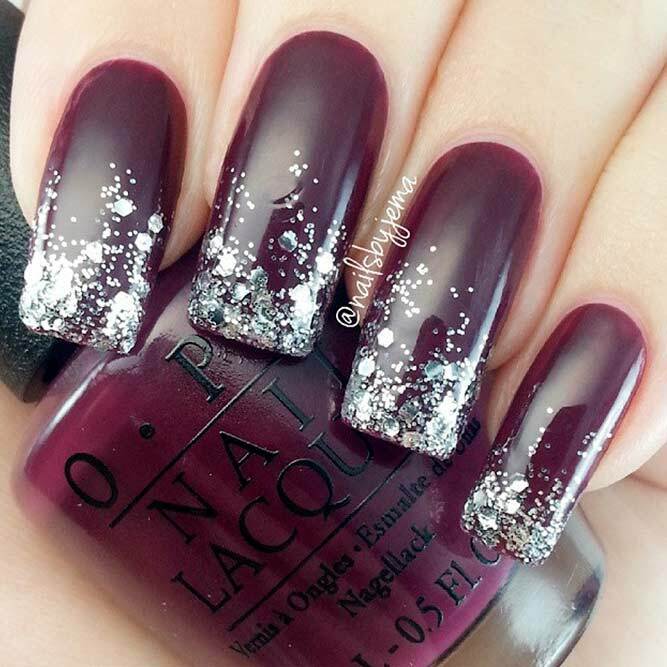 We can’t simply leave out ombre burgundy nails. 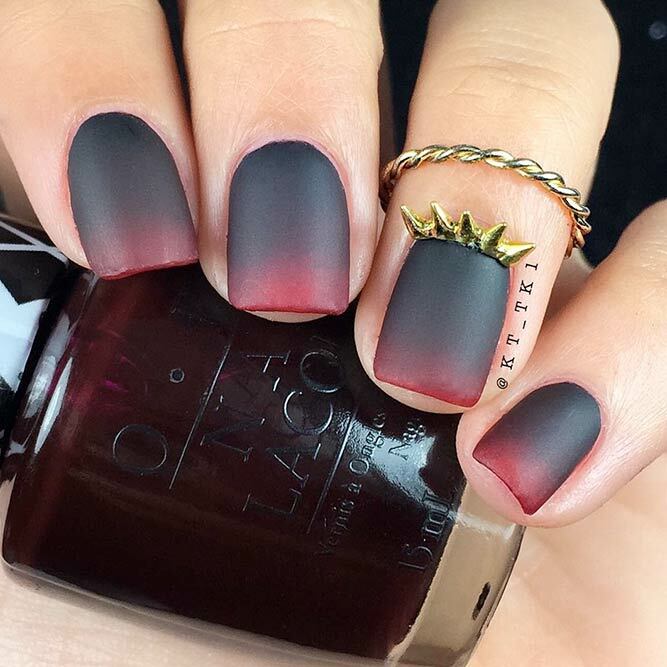 It is a fact that ombre technique can spice up any look or situation. It is up to you to choose if mild or bold you want to look today. 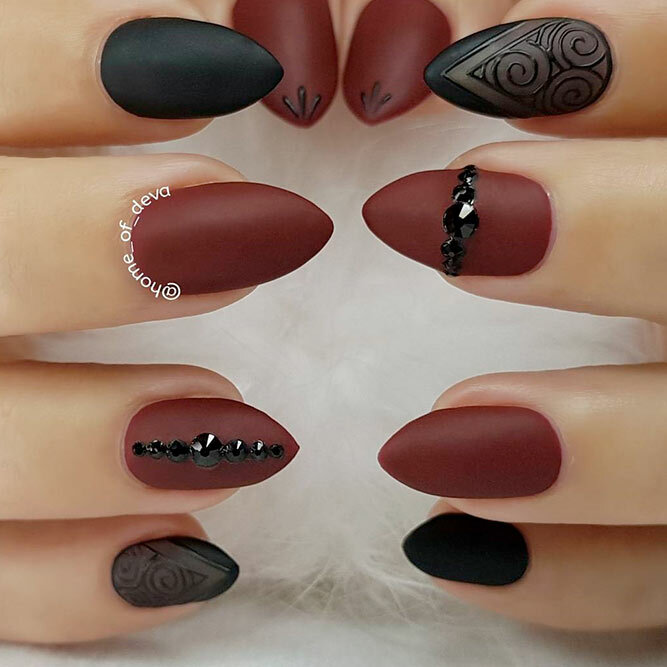 But we can’t but mention this queen-worthy black to burgundy transition with a nice gold crown on top. 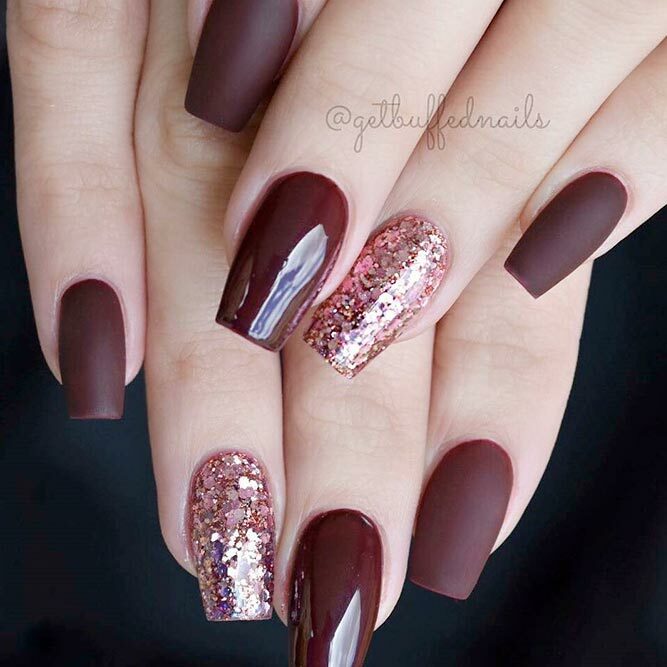 Burgundy nail designs with glitter look amazing. 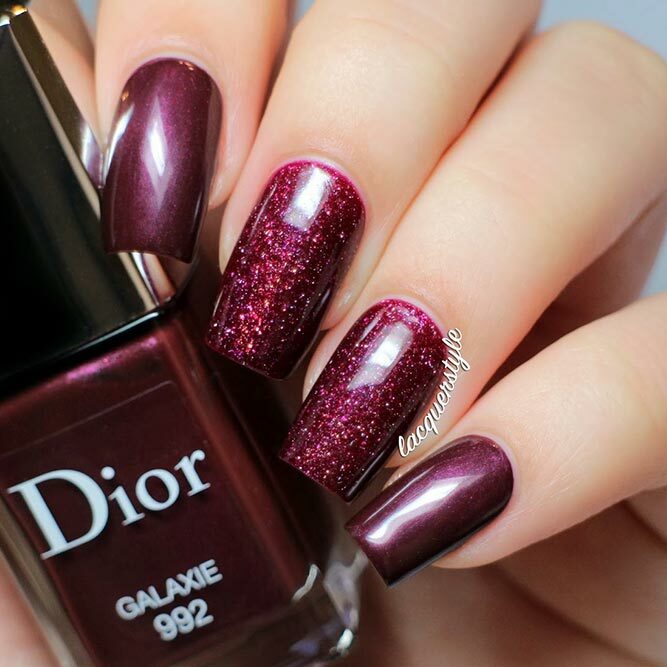 What is more, glossy burgundy hues are perfect to make your nails look visually longer. 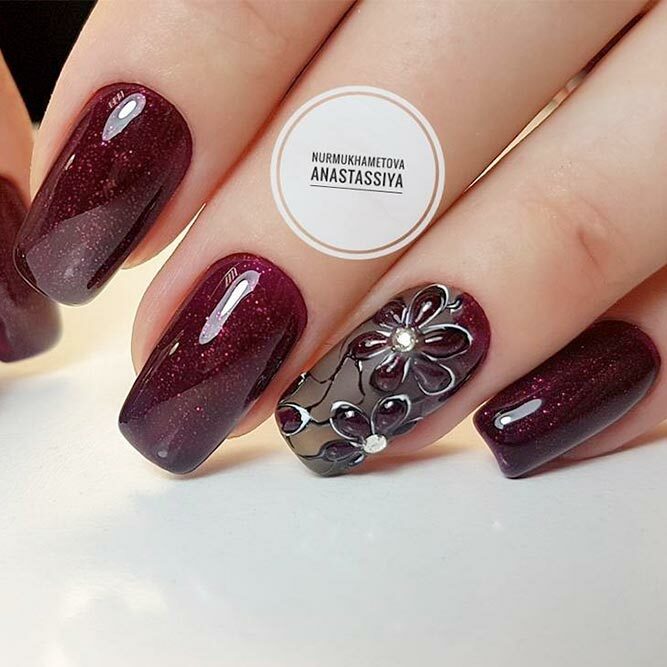 Rhinestones look magical when combined with burgundy, there is no doubt about it. 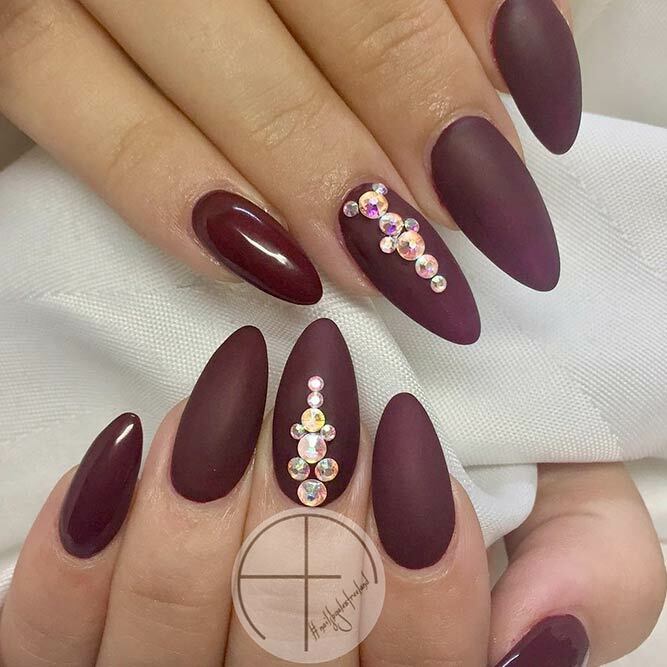 The darker the shade the better it brings out the beauty of rhinestones. 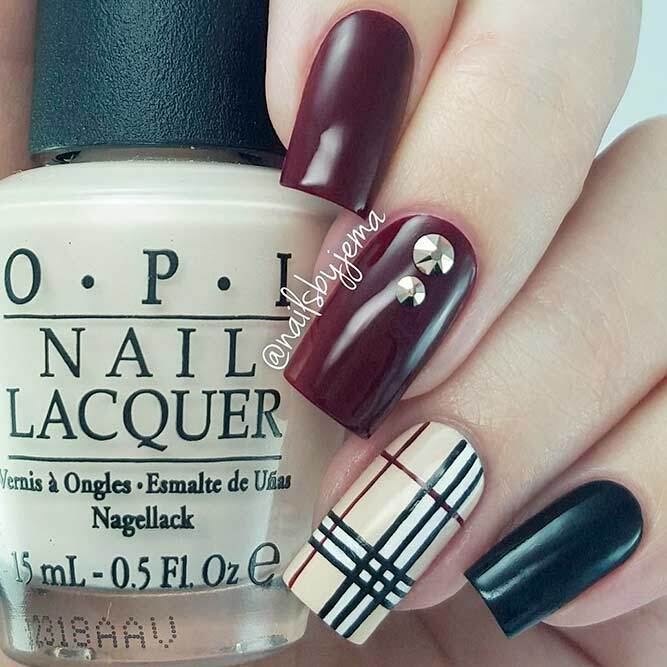 What is more, you do not have to go over the edge, even the simplest pattern will look outstanding when combined with burgundy hues.